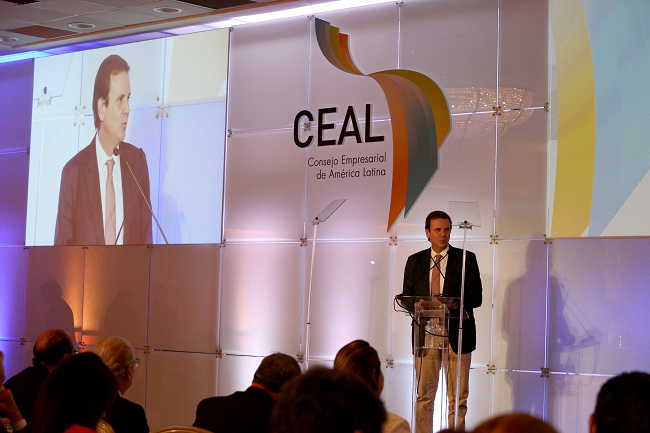 Mayor Eduardo Paes participated this Thursday morning, October 15, in the opening of the 26th Annual Latin American Business Council (Ceal) Conference, the largest and most representative business and political gathering in the region. This year’s event has as its main theme “Latin America Without Borders”, and takes place until tomorrow, October 16, in the Hotel Windsor, at Leme. Heads of state, ministers, leaders of international organizations and executives from major companies will discuss subjects such as energy, education, sustainable development, innovation and entrepreneurship. In his speech, Paes stated that unity within the private sector is essential for transforming Latin America. “I’m very happy to see an event like this, especially from an institutional standpoint. 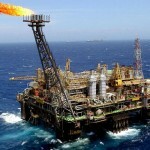 The business sector gathering to establish an agenda common to all sectors represents a huge ability to pressure governments so these transformations, still very necessary for Latin America, take place. May our city inspire the decisions to be made over the next two days”, said the Mayor. Founded in February 19, 1990, in Mexico City, Ceal is an organization formed by the most important business people in Latin American countries, such as Argentina, Brazil, Bolivia, Chile, Colombia, Ecuador, Nicaragua, Panama, Uruguay and Venezuela.